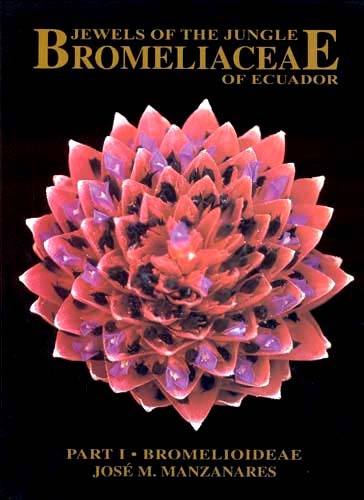 Bromeliaceae of Ecuador (Part 1 - Bromelioideae) by José M.
Bromeliaceae of Ecuador (Part 2 - Pitcairnioideae) by José M.
inside the book (a small study is	presented of the 15 genera in the subfamily Pitcairnioideae. 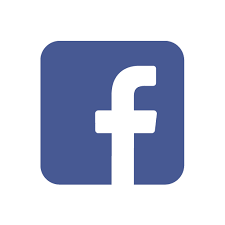 With details of therir characteristics, along with photographs in situ, in order to aid in	their classification. 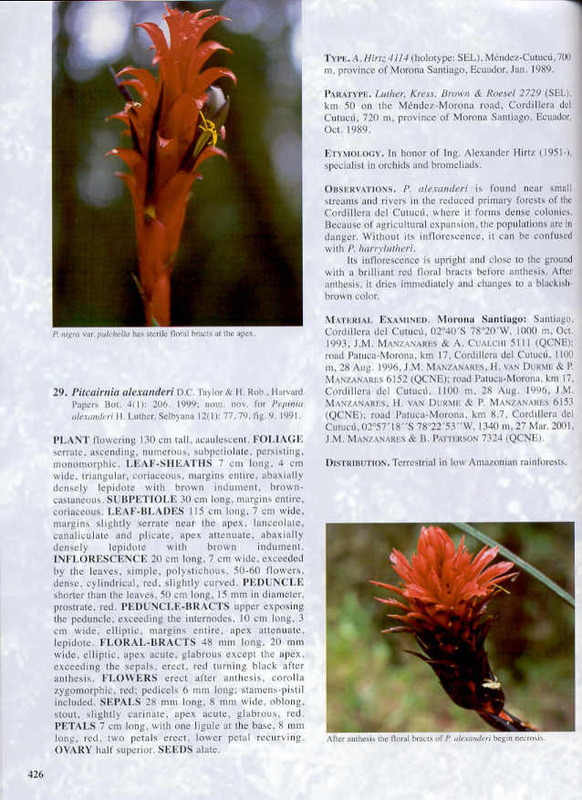 In Ecuador, this subfamily is comprised of only Puya and Pitcairnia. 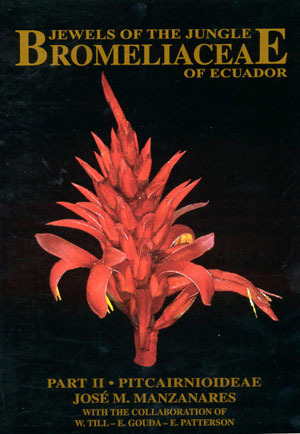 The Genus Puya with 34 species 1 variety and 2 hybrids and the Genus Pitcairnia with 83 species, 11 varieties and 1 hybrid. 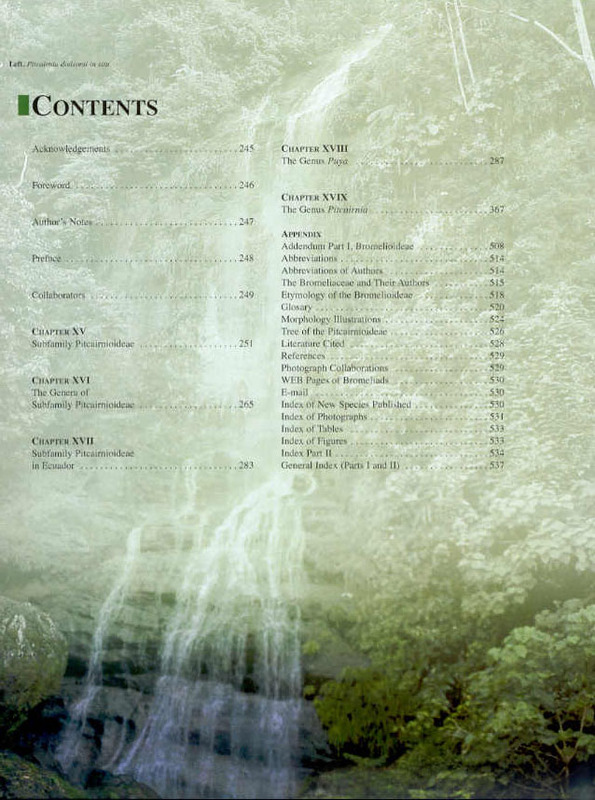 Each species and variety is illustrated by at least one photo. 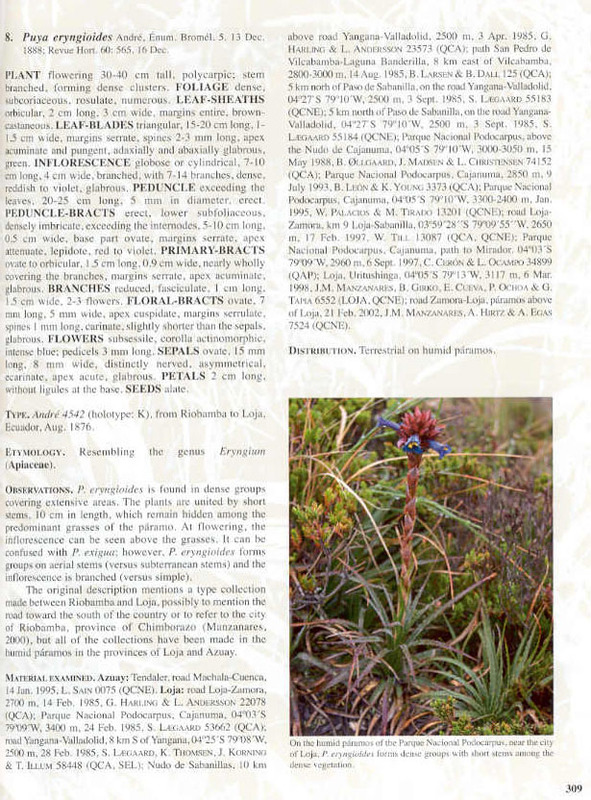 In this opus, 14 new species, 4 varieties and 1 form of Pitcairnia and 9 new	species of Puya and 2 new hybrids have been published).